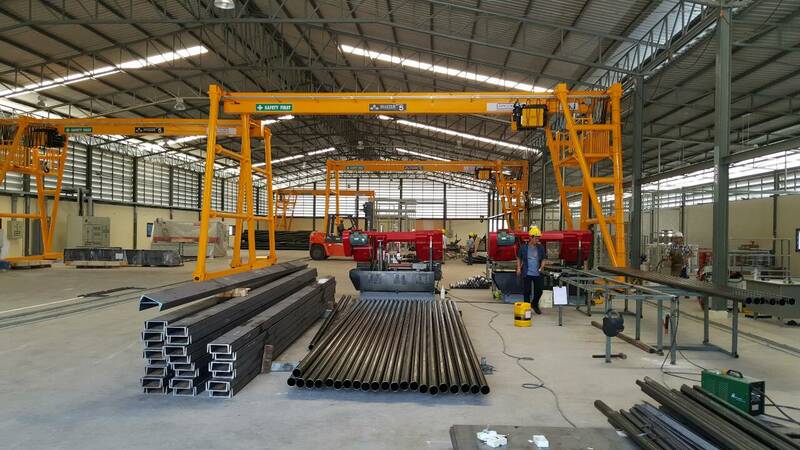 APCON specializes in fabrication, pipework, erection of equipment and steel structures including the provision of integrated engineering solutions. 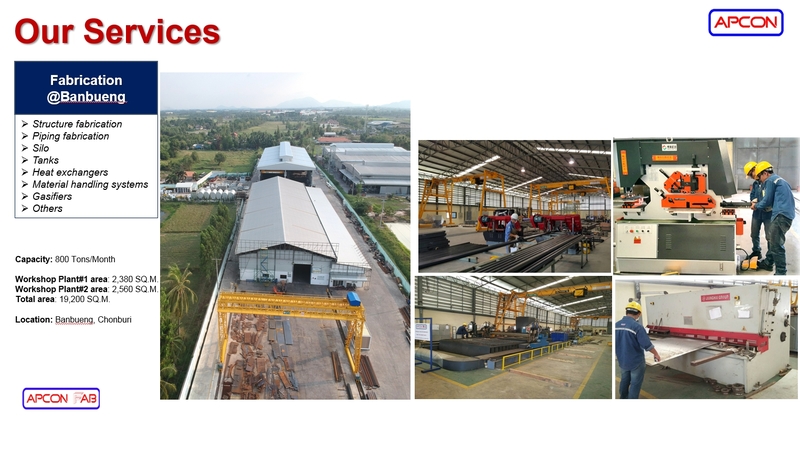 We have a wealth of experience in the design, manufacture and installation of the aforementioned equipment and operate primarily from our fabrication and machining workshop in Ban Bueng, Chonburi, Thailand. However, we have invested in a second workshop located in Thepa, Songkhla province, to assist with the start-up and O&M of our new projects in the south of Thailand.